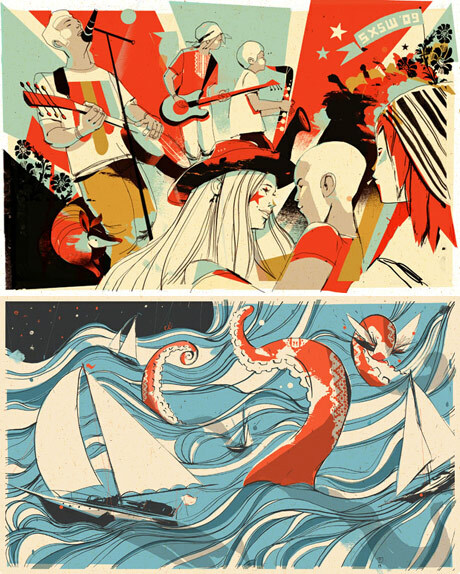 Finnish illustrator, now based in Barcelona – Pietari Posti is knocking out some pretty tastey work. Loving the colours, free flowing lines and general energy going on here. Good Work. Aug 03	This entry was posted in Illustration by cookie. Bookmark the permalink. Nice! Reminds me of those Tiger beer posters!